China’s main defence is that in per capita terms it is still a modest emitter and that there should be two standards, one for developed and the other for developing nations. Despite opinion that China contributed significantly to the failure of the Copenhagen climate change summit (others would argue it was the US that wrecked it. But that’s another story. In any case there is strong Chinese-US collaboration on green issues and technology), it is not sitting on its hands. BTW – if you remember China’s collective memory of the century of humiliation and being forced to sign unequal treaties, it will go some way to explain why it will not be coerced into any ‘unfair’ treaty, but needs to be persuaded that it is not unfair. Giving China a bad name only reminds it of the Ah Q storyand makes it more resolute not to sign. The 2015 Climate Change Summit in Paris resulted in what supporters are calling a historic achievement, 196 nations attending the COP21 climate meetings outside Paris voted to adopt an agreement Saturday that covers both developed and developing countries. Their respective governments will now need to adopt the deal. He adds that the 1.5-degree cap was sought by island nations. 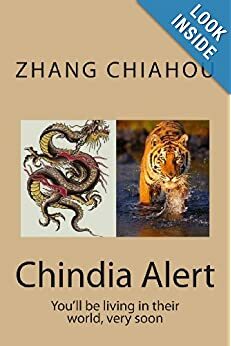 For an easy to read and assimilate book on the reality of pollution and the effects of industrialisation in China, read When a Billion Chinese Jump: How China will save Mankind – or destroy it, which is written as a personal travelogue from ‘Shangri-La’ in Yunnan in the south to ‘Xanadu’ on the steppes of Inner Mongolia by environmental journalist, Jonathan Watt. It carried out a national pollution census that took two years and 570,000 staff. In 2011, 20 most seriously polluted cities in the world, 16 are found in China. But by 2014, 15 of the most polluted cities are in India – http://i100.independent.co.uk/article/these-are-the-15-most-polluted-cities-in-the-world–WJdghGA4fe/ Not because the Chinese cities have become cleaner, but because India’s continued industrialisation has made their cities dirtier. 40% of Chinese rivers are polluted. There are increasing cases of birth defects and increased illnesses due to pollution where industrialisation or old coal-powered generators run. It escaped a major loss of face when the Beijing Olympics were not as smog bound as some Cassandra’s were predicting. Much of the pollution of China’s water, soil and air has been caused by the desire of local governments to compete against other authorities and regions for natural resources and meet production targets. Corruption has also produced a flood of illegal, or semi-illegal, small-scale but highly-polluting plants being set up throughout the country. Some local authorities are imposing draconian rules. For example, Beijing has restricted the total number of new car licence plates to 150,000 for 2014. This is against an actual 720,000 new licences in 2010! There are also restrictions on rush hour ban for non-Beijing registered vehicles and movement of cars to particular days of the week. Four other cities have similar schemes: Shanghai, Guangzhou, Guiyang and Tianjin. “The 18th Central Committee of the Communist Party of China (CPC) held its Third Plenary session (Third Plenum) in Beijing from November 9-12, 2013. This important conference attracted considerable domestic attention because of the Committee’s powerful role in shaping the country’s direction, and because important reform announcements were anticipated. The conference also drew significant international interest as the outcomes provide key insights to the policy guidelines and priorities that China’s new leadership are now expected to adopt. The session put forward a broad reform package covering the economy, politics, culture, society and the new concept of ‘eco-civilization’. This coverage of all sectors and subjects–plus an unprecedented level of detail–puts this 18th Central Committee conference on a par with the historic third plenary session of the 11th Central Committee conference in 1978. This session famously launched the major ‘Reform and Opening-up’ policy of Chinese leader and reformist, Deng Xiaoping. a thorough implementation of all the reform objectives that were determined by this latest conference, will have a profound impact on the future development of China. — The latest meeting, in November, of China’s powerful 18th Central Committee of the Communist Party of China produced a set of outcomes that, if fully implemented, could have a profound impact on China’s economic and environmental future. 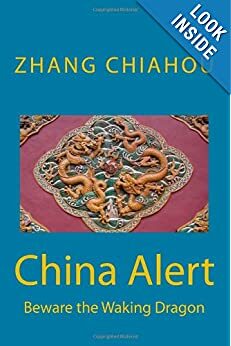 — China has now reached a point where major reform is needed to deal with the economic, environmental and social problems created by the economic model that has delivered its spectacular economic growth of the past 30 years. — Implementing the government’s ‘eco-civilization’ concept as a cross-cutting element in all areas of reform will be a key part of how China addresses many of its problems. — High level coordination of reforms (lead by the President); greater use of market mechanisms; and a shift to a more open and less regulated economy are among other important changes. Also see New Scientist: China battles to be first eco-civilisation. Energy efficiency and environment services to be priority industries for the first time. Other measures such as shift away from GDP-based performance evaluation. On the infrastructure page we have already covered most of the advances being made to reduce old-technology coal-fired electricity generation that not only spew out enormous amounts of carbon dioxide but also contribute to acid rain and replace it by either high- technology coal-plants or renewables such as nuclear, hydroelectric, wind, solar power. Since 2007, new coal power has been declining from 90 GWatts in 2007 to around 50 GWatts in 2013, while older more polluting power stations have been regularly turned off as renewal alternatives come on stream. Although China has only 20 nuclear plants, 28 are under construction early in 2014. In August 2011, China and the US signed an agreement to share joint research on clean coal power technology, which is only just as they are not only the two largest producers of CO2 but also with the highest increases in 2010. In the meantime, Russia is investing in new hydro-electric power plants in Eastern Siberia for export to China, while China is upgrading its national grid to the tune of $250 billion over several years. By 2020, China plans to have over 500GWatts of renewable power, up from 250GW, a doubling in a decade.In January 2012, it announced a new offshore wind farm to be installed that will provide 300 MWatts, this will be expanded to 5 GWatts (the equivalent of 5 nuclear stations) by 2015. By then the total wind generated capacity will be 100 GWatts. It already has more wind power capacity than any other country. Hydro-electric power is the highest contributor to renewable energy, totalling 250 by May 2014, aiming to be 420 GWatts by 2020, though the programme has slipped behind due to slower than expected project approvals. In 2013 alone, it doubled solar power. China is monitoring the status of glaciers on the Tibetan plateau. Apparently not long ago there were over 4,000 lakes, now they are down to 3,000. There is a whole raft of central government legislation regarding the treatment of water from manufacturing and chemical plants. Western environmental companies such as Veolia and Purac are big in China. Factories will install water treatment plants when forced to. But, according to some investigators, as soon as attention moves elsewhere, the owners will turn the treatment plants off saving electricity with local officials not only turning a blind eye but warning them if they hear a central government inspector is on the way! Nevertheless progress is being made. Not least through people power. Increasingly, the public is raising protest and inviting journalists from Beijing to see for themselves. The Internet also helps in that savvy folks will raise alerts that environmental activists will track and often take up with central government departments. Hefty fines are imposed when culprits are found. But sometimes these are less than the cost of either installing or running the treatment plants! Any visitor to any of the big cities in China will have noticed the smog that hangs over the landscape sometimes obscuring the top of the many skyscrapers. However, China now has tougher legislation regarding car exhausts than anyone else including California. China has planted more trees than any other nation. The UN Food and Agriculture Organisation (FAO) data shows that China increased the extent of forests between 1990 to 2005 (and has done even more since then) by 40m hectares, while India increased its forests by only 3.7m hectares. This increase nearly offset Brazil’s reduction of 42m hectares. China’s forest area reached 175 million hectares in 2006, raising the country’s forest coverage to 18.21 percent, compared with 12 percent in 1981. Nevertheless, China’s forest coverage is only 61.5 percent of the international average and its per capita forest area only 25 percent. But since then a few more million trees have been planted, averaging 1 million pa or around 4m hectares pa. BTW – Brazil is losing 3m hectares of forest pa. Some cynics say that the Chinese army plant a lot of trees and with 2.5m soldiers, one per soldier is a large number. Be that as it may, a tree is a tree whether planted by a soldier or a civilian! In fact, since 1981 every citizen is required to plant at least 3 trees pa. High school graduates celebrate by planting a tree. As Western consumers know, much of our waste that does not go into landfills end up in places like China to be recycled. In fact, many of the container ships that deliver clothing, toys, and electronic appliances to western ports return laden with containers full of rubbish. In this age of scary headlines about disappearing Arctic polar caps and climate change, it’s reassuring to see the two richest business people in China are both in environmentally-friendly businesses. One is electric car battery and electric car tycoon Wang Chuanfu, born into a farming family, as one of the richest men in China. He has a 5.1 billion dollar fortune. Another is paper recycling queen Zhang In, whose Nine Dragons paper recycling firm imports recycled paper and sends it back as packaging for exports.China is also the world’s leader in producing plastic carrier bags. However there is a worldwide campaign to reduce their usage. But you can be sure the Chinese will think of some other way to recycle and reuse plastic! China is very aware that it is a major source of pollution. The leadership had deemed it was a necessary evil. But as this page shows, it is now trying to make amends and is spending a vast amount to compensate By contrast, even though India is also aware it is a major source of pollution, it has not reached a stage of development where it has surplus funds to do much about it, even if it had the will. I don’t want to appear picky but I think China leaders’s position on global warming runs parallel to that on democracy. They will do what is right only so far as it does not interfere with growth and the maintenance of their control. They are smart. They must know that this is self-defeating in the long run. But they believe that cutting back on growth would be self-defeating in the short run. I wonder whether Sir George Cox will be considering China in his report on short-termism for the Labour party. David – once again you’re probably right. But tell me which politician or national leader in which country does not favour short to long term? And in some cases, not only for his/her party but for his/her own political future! Perhaps you will pass on both your comments and ref to my website/blog to Sir George. China may increase energy efficiency but with growth it will increase emissions. Here’s the bottom line. The atmosphere already contains too much greenhouse gas and we are adding to it every day. The IPCC says that there will be “catastrophic” climate change unless annual emissions are falling by 2018. (And that’s probably optimistic.) Today’s Guardian reports an International Energy Agency statement forecasting six degrees of temp rise by 2100 if we continue business as usual. By the way, that’s NOT the most scary projection I’ve seen. China’s emissions are already unsustainable. Per capita it’s less polluting than the West but, guess what?, the climate doesn’t care about fairness. Too much in aggregate is too much and China stands to suffer at least as much as the West. The West and the BRICs need to improve energy efficiency, decarbonise their energy supply systems, etc. We know what’s needed. We know it’s possible. We don’t know how to make the politics work and that may yet kill us. David – thank you. I agree. This webpage is not trying to defend China, merely trying to inform readers that China is trying very hard to balance further economic development and improving the environment.